League Two side Cambridge United have signed forward Jacob Blyth on a one-month loan deal from Leicester City. The 23-year-old has had previous loan spells with Burton Albion, Notts County and Northampton Town. 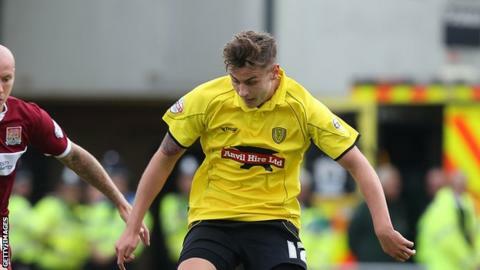 He contributed five goals to Burton's League Two title win during a six-month loan spell in 2014-15. Blyth, who has yet to play a first-team game for Leicester, is U's manager Richard Money's 12th signing of the summer transfer window.